– Sensitive, expressive and responsive to the needs of the musician. Rich in colours and well balanced in all their register, with a warm and sweet tone. – Comfortable and easy to play. From the shape of the neck to the strings fitting and the natural balance of the instrument. – Visually aesthetic regarding shape, construction and colour. 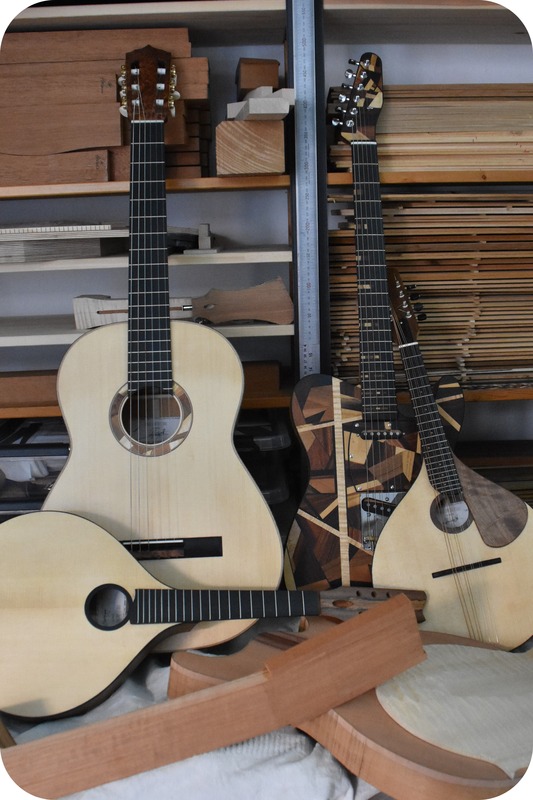 Although every project is different, I try to maintain the natural colours and grain of the wood I use in my instruments, respecting the endless possibilities of this noble material.